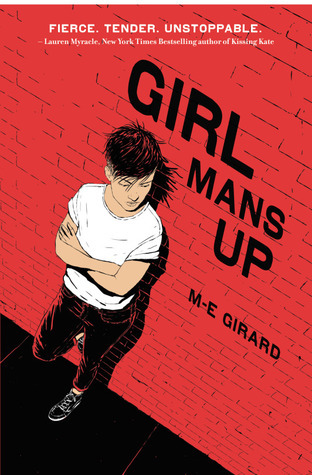 M-E GIRARD is a Canadian writer of contemporary fiction---mostly young adult fiction, sometimes new adult fiction, usually queer fiction, and always about girls. Her debut novel GIRL MANS UP will be published in September 2016 by HarperTeen/HarperCollins and HarperCollins Canada. M-E was a fellow of the 2013 and 2015 Lambda Writers Retreat for Emerging LGBT Voices. Her writing has appeared in Plenitude Magazine. M-E is a member of the Society of Children's Book Writers and Illustrators and the Writers' Community of Durham Region. It was good. I enjoyed it for what it was but not really beyond that. I'm not really into contemporary so this was a little harder for me to read. I felt so bad for her. No family or best friend should ever treat someone like this. The book has a great message to it though.